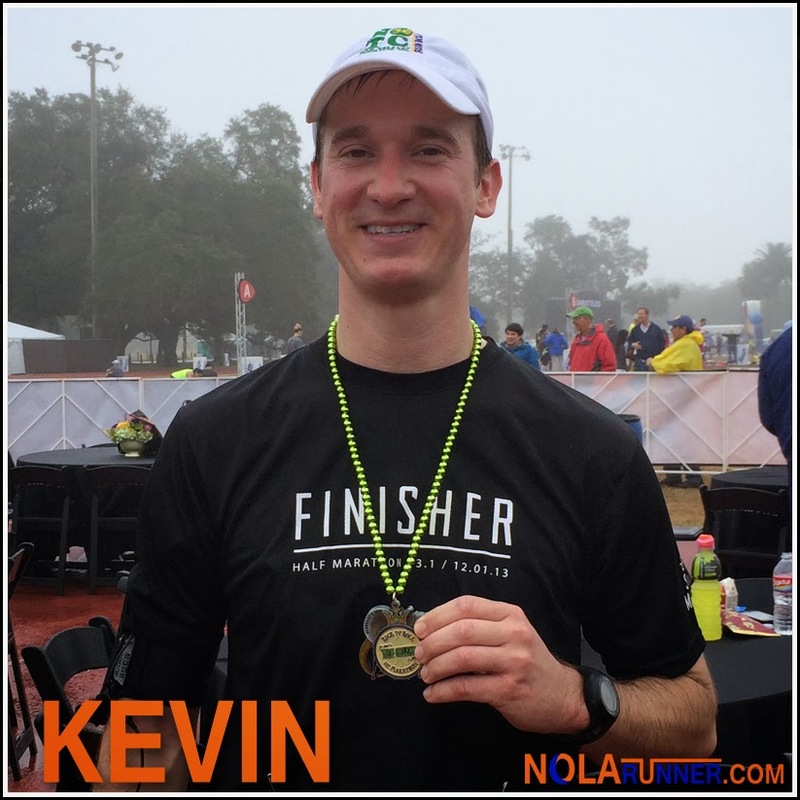 In the week post Rock 'n' Roll New Orleans Marathon, I've been doing my fair share of reading Facebook groups, blogs, tweets and other social media to see how people feel about the completion of their race. I've seen tons of complaints about the weather on race day, but those are always balanced out by positive comments about the adrenaline felt after crossing the finish line. I've previously written about how the Rock 'n' Roll race series welcomes a lot of new participants on to the distance running scene. This past Sunday was no exception, with tons of first time marathoners completing their inaugural halves. In that lot were several friends of mine, a couple of which have appeared previously on this blog. I asked each of them for their perspective after completing the race, and have compiled their responses below. 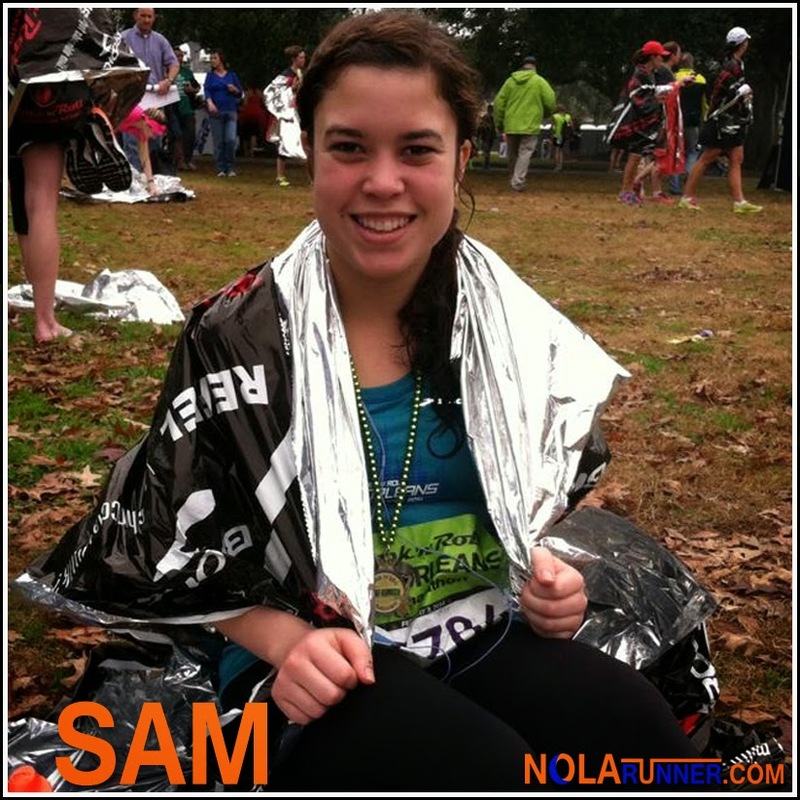 Samantha's a student at LSU, and came to New Orleans to complete her first half marathon. I've been friends with Sam's mom for over a decade, so I've known her since she was in middle school. Once I got over the fact that I'm borderline ancient, I realized how proud I am of her accomplishing her goal. I knew she was a little nervous at the start line, but her reaction this morning when asked about the feelings since race day were exactly what I expected: "I couldn't have asked for a better first half marathon. Finally crossing the finish line was the most exciting and accomplishing feeling a runner can have. I knew that my training had paid off, 13.1 miles was not that scary, and I was ready for a cheeseburger!" Kevin and I are coworkers who share a fondness for running. In December, while in the Pacific Northwest for a football game that some of us care to forget, he decided on a whim to add a few miles to a morning run with his first half marathon. Coming back to the city for his first New Orleans half, I asked about thoughts on running with a home field advantage: "For my first, I participated in the Seattle Half-Marathon. I was going into an event with a cold and misty climate and a hilly course, both of which are not common in NOLA. I ended up finishing pretty well by my own standards, and was happy that I participated. 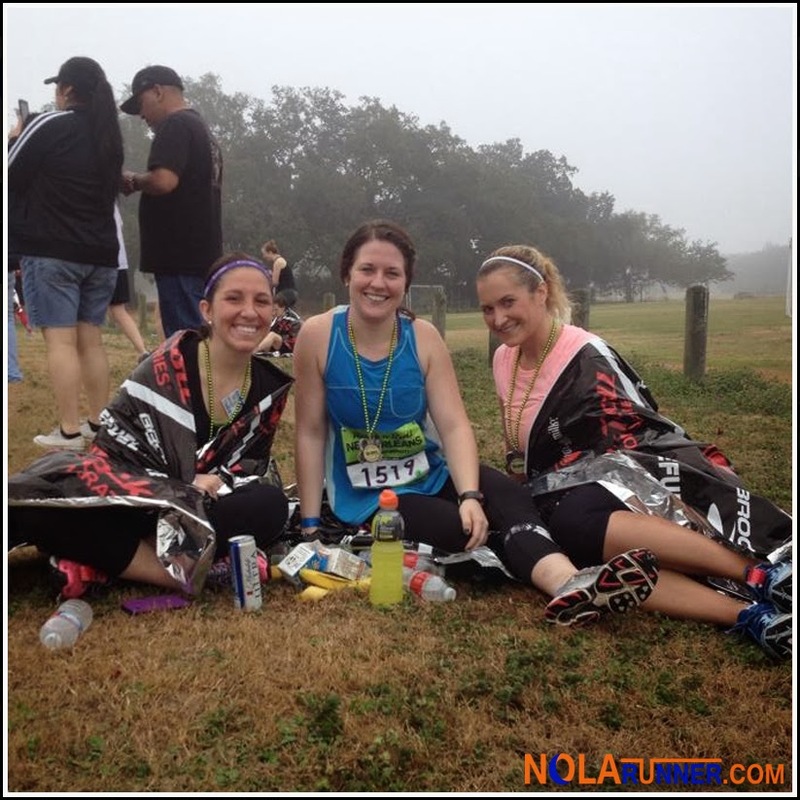 When it came time for the Rock ‘n Roll NOLA half marathon, I didn’t think twice about participating. Not only was it local, but the unknowns of my first half-marathon were gone. I was pretty familiar with the course, so I had the advantage of knowing the streets, knowing landmarks, and not needing directions to get to the start line. The climate was warm, so I didn’t need to worry about wearing cold weather gear. Plus, it was nice to see many familiar faces both participating and spectating. I was able to set an improved pace from my first half and set a PR. While it was nice to participate in an out of town race, it was more enjoyable to run in NOLA where I felt right at home." 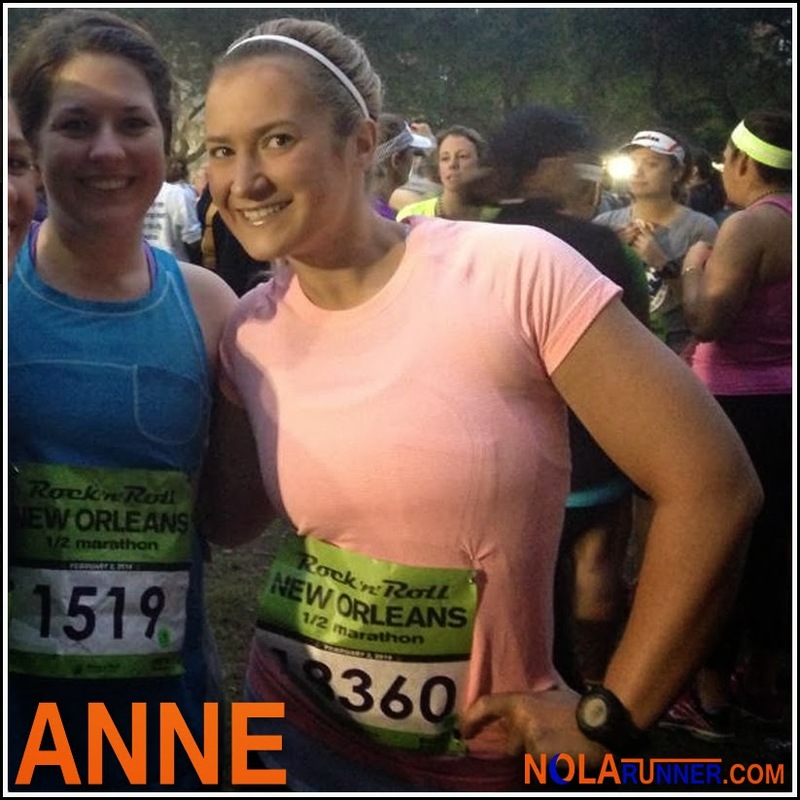 Anne has been an active participant in the Crescent City Classic for years, but never dreamed of doing a distance longer than 10K ... until three months ago. After stepping up her strength and endurance training, she decided to undertake the half marathon challenge with several of her workout partners. I asked Anne how her goals have evolved since checking a half marathon off her bucket list: "I registered for a second half before I completed my first, just to make sure I was obligated to keep my running regimen consistent. However, the day after the race, I vowed that I would never run anything longer than 13.1 miles. As of yesterday, a group of us have decided that we want to attempt a full in Summer of 2015 at the San Francisco Marathon. That post-race registration trigger finger has me ready to tackle another obstacle." Katherine is an accomplished half marathoner who completed the Rock 'n' Roll New Orleans half as her first distance race, and has also run The Half at The Louisiana Marathon and the Jazz Half Marathon. She's also done her time as a Division I college swimmer at Tulane University. As an experienced endurance event participant, this year was her first opportunity to stand on the sidelines as a volunteer at the mile 11.5 water station. She was able to offer interesting insight as to what it takes to be one of the most integral participants on race day: "I was actually really excited to volunteer, since it gave me an opportunity to be able to cheer on my friends running the race, and also to lend a much-needed helping hand. After a few years of participating in endurance events, I felt like I was long overdue to give back to other runners, a sentiment echoed by some other volunteers who were also on the sidelines as volunteers for the first time. I quickly learned that there's an exceptional amount of organization and thought that goes into setting up a water station (especially when you're making Gatorade for 16,000 people) and being prepared. It took us about an hour to get everything set up for the first wave of runners, and we were at our station well before the crack of dawn. I have a newfound appreciation for the volunteers who have helped out at all the races I've done over the years! And it was all so much more fun than I expected. We were all there to have a good time and had a blast cheering people on—many volunteers seemed to have the same dry sense of humor that my running friends do, which didn't hurt. From the moment I handed out our station's first Gatorade (go me) to cheering on the last walkers along the course, it was an experience I really enjoyed and would urge all participants to volunteer in the future." I couldn't be prouder of my friends who finished their first halves this week, and equally appreciative of those that came out to spectate or volunteer. Everyone's involvement made it a great day that none of us will soon forget.